Welcome to another Debt Free Friday! I absolutely love doing this series! I hope it inspires you or someone you know to eliminate some debt. Please enjoy Tom’s debt free story! How much debt did you have and how long did it take you to pay it off? Our debt had gotten up to about $40,000 in student loans, credit lines, and car loans just before our wedding day in 2008. It took us 2 years from that point and we finally paid off our debt this summer. We knew we had to be debt free since we had our first child in the fall of 2009 and my wife’s maternity leave payments would end a year later. How does becoming debt free actually feel? Does it feel better than you imagined it would? 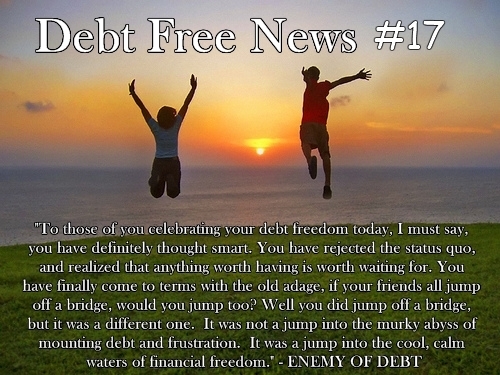 Being debt free feels like a weight has been lifted off our shoulders. Whenever we have a little money left over at the end of each month, we can now decide how to save it (or even how to spend it) instead of figuring out which debt to pay down next. What were some of the struggles that you had to deal with along the way? Was there ever a time where you almost gave up? The biggest issue we had was new debt coming on while we were paying other debts off. With a priority on eliminating debt before any savings, we basically used our credit line as an emergency fund. So when we needed a $10,000 deposit to buy our house, we used the credit line and then paid it off. Then we needed $2,500 for property taxes, then $6,000 for a replacement engine for our car. We never gave up. 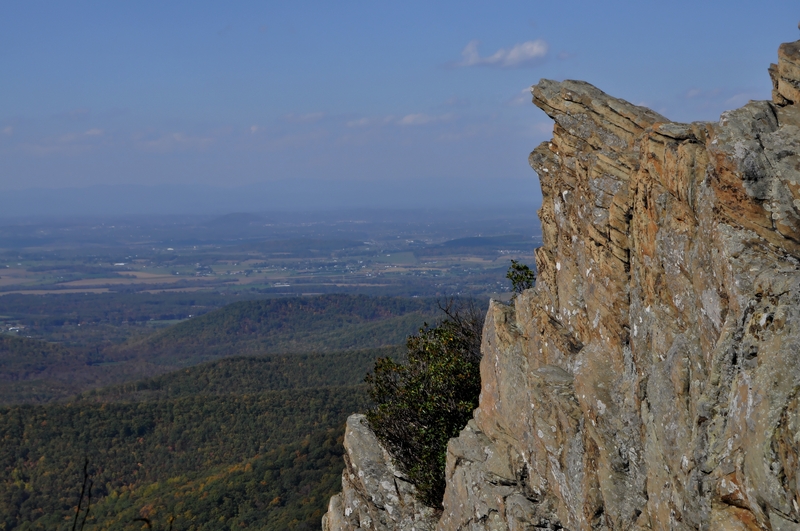 The balance seemed to be heading in the right direction, we just had some occasional short-term setbacks to deal with. What would you consider to be the most important key to becoming debt free? What helped you the most? For starters, we replaced the minimum bill payments of $10-30 with payments around $100-500 so that we could get some traction. But, more importantly, we kept our chequing account near a $0 balance. We needed to stay on top of things in order to not bounce any bill payments, however I was able to see exactly what we needed to cover expenses between paycheques. Anytime there was $500 or more of extra money, I decided which debt to put it too; normally whichever had the highest interest. It seems a lot of people have bought into the idea that debt is essential in order to prosper, what do you have to say to those people? While I do believe in “good debt” like a mortgage or investment loan, most debt is far from essential. If you need debt for monthly expenses, then you have a problem that needs to be corrected. By reducing your expenses and finding other sources of income, you can free up some money to pay off outstanding debts. What was the biggest sacrifice you would say you made in order to become debt free? What about you changed the most? Rarely spending any money was a sacrifice at first. If we were lucky, we might go out to eat once a month… and that was normally for birthdays or our anniversary. We haven’t bought much for items like electronics and clothes. We already have quite a bit of “stuff”, so not buying more wasn’t a great hardship and actually saved us from clutter. The nice thing now is that it’s become a bit of a habit to not spend a lot of money. When we do spend we can’t bring ourselves to ever pay regular retail price… it’s always on sale, or we have a coupon, or occasionally I even negotiate a deal. Did your friends and family give you a hard time about your new mission to eliminate the debt from your life? If so how did you deal with it? Do you think you inspired others by your journey? They may not have known that I was doing it to pay off our debt, but there’s been a few times I’ve had to say no to going to a restaurant for lunch or out for drinks after work. No one necessarily gave me a hard time, but there’s always a bit of pressure for anyone to spend the way their friends, family and neighbours do. What is next for you? What financial goals do you plan to accomplish? Next we’re looking to get some savings in place. We need a true emergency fund, not the line of credit. We also want to set aside enough each month to pay for annual expenses like our property taxes, life insurance and even Christmas gifts. With my wife no longer receiving maternity leave payments, we won’t have a large amount of extra money, but once the kids are in school she plans to go back to work and we hope to really accelerate the mortgage payments. Haha, that sounds awesome Tom, let\’s do it. Great out of debt story, Tom. The takeaways I heard was pay more than the minimum, put any extra money towards debt and perseverance. Sounds like a formula for success! Thanks Kay Lynn, yeah keeping at it was a huge part of it. Now it’s nice to take that same attitude of pushing forward and apply it to positive things like savings and even some debt-free spending! This was a great story to share to help motivate others to try and eliminate debt. I did wonder if he took on any extra jobs to help cover or make additional payments. Very impressive nonetheless. Lisa, I guess I left out the income side of the story… I do make some money from my blog, which has been a great help. More importantly, since we knew that eventually we wouldn’t have my wife’s income, a lot of her pay went towards the debt!